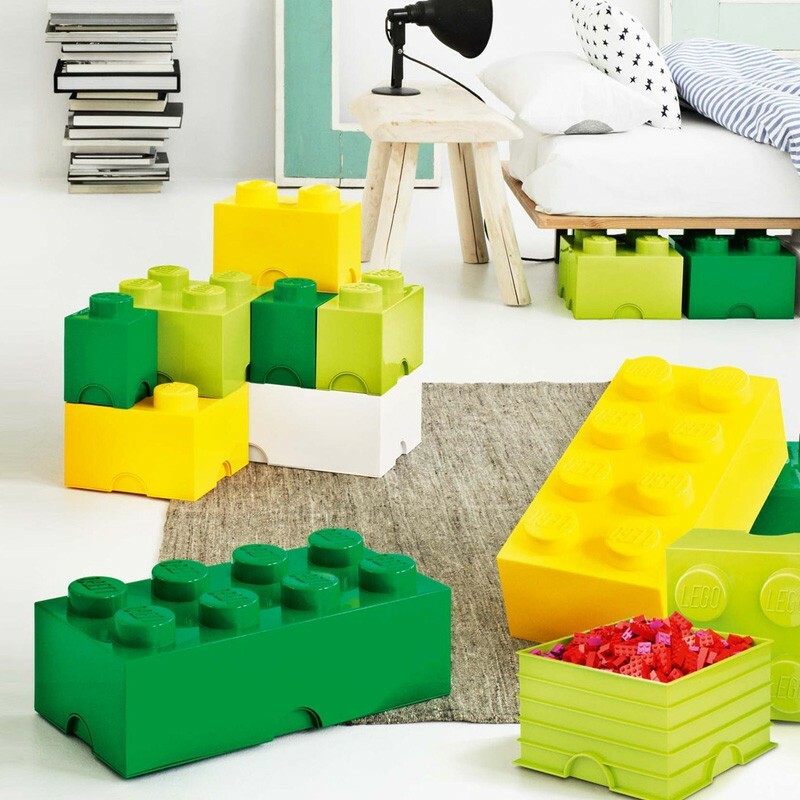 Turn your mundane storage into a colourful construction with the Lego Storage Brick - Green! 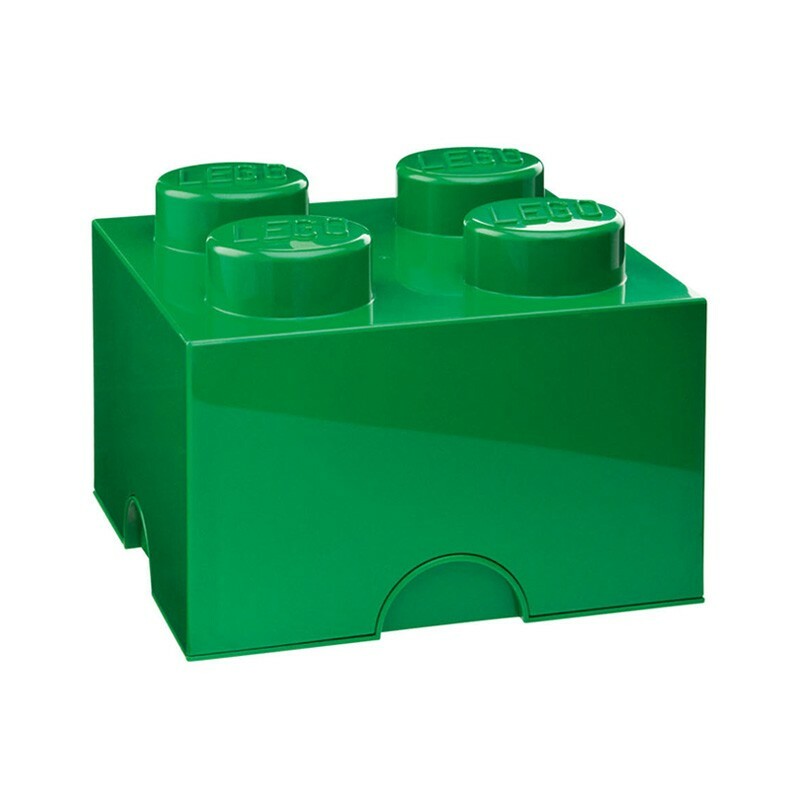 These quirky giant Lego bricks are available in two sizes, and come complete with the distinctive studs so they can stack together just like the originals! These novelty storage boxes are tonnes of fun, and can hold oodles of knick knacks - from cherished concert tickets to toys (and Lego bricks… obviously!!) Adults and children alike will love these bright storage boxes! And so will adults’ feet - as hopefully these funky boxes will encourage the little ones to tidy away those painful bricks! The name Lego comes from the Danish phrase ‘leg godt’, which means “play well”. Well now you can do your storage well at the same time! A delightful way of adding some fun to the usually mundane storage solutions, these bricks are at their best when in colourful stacks! These playful storage crates would make a fun gift for any occasion, and are available in two sizes - the square 4 stud brick, and the rectangular 8 stud brick. See the other colour Lego brick boxes on the right hand side of the page!